February 2019 – Marlene Elizabeth. When I became a Mom late in life, it was love at first sight… and two more dreams were also born! #1 to be a stay-at-home Mom because I didn’t want to miss a thing. 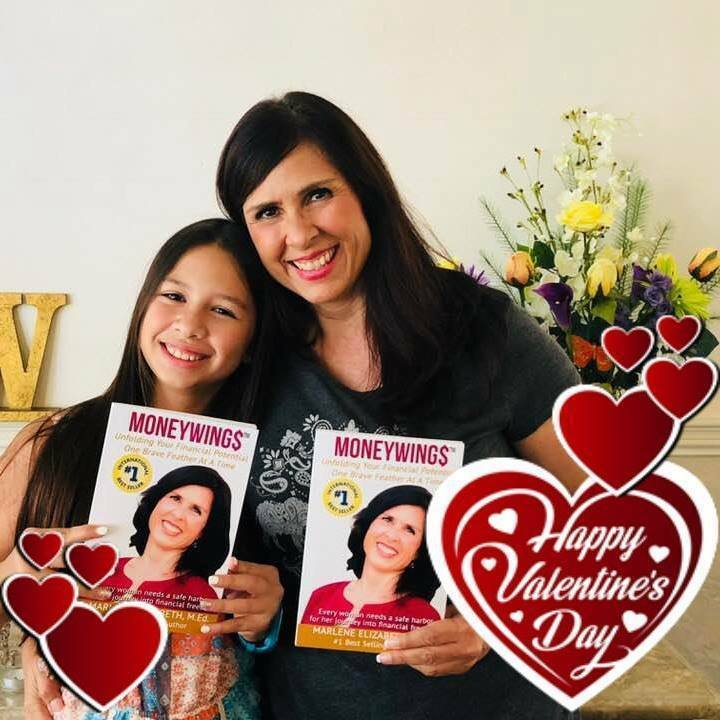 #2 to raise a money-smart daughter so she could live in freedom and peace without the financial anxiety, stress and shame I had experienced in my own relationship to money. I didn’t know how I would make these dreams come true at the time, but it became my mission to learn how to grow moneywings and unfold my financial potential one brave feather at a time. Because I deeply believe that when we have a treasured dream in our heart, LOVE finds a way to unfold it. I’m very grateful for the support I received along the way to help me wrap my brain around success. Attend our 1-Day Retreat for Women in Riverside, CA THIS SATURDAY and enjoy a very special Valentine’s Day scholarship savings on the investment. For more retreat details, click here. Wishing you a magical Valentine’s Day full of love, laughter and beautiful memories!